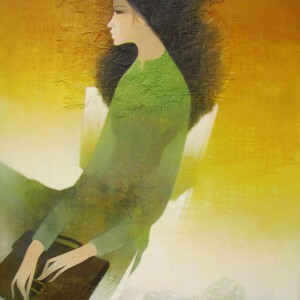 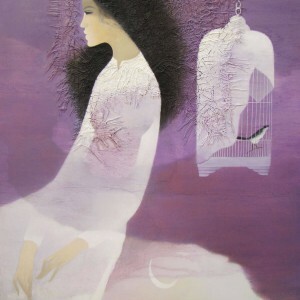 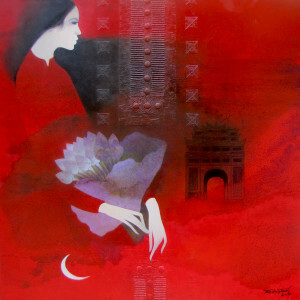 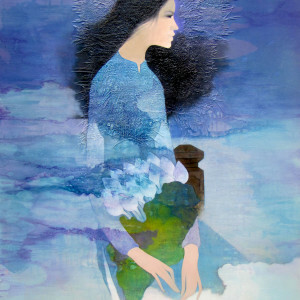 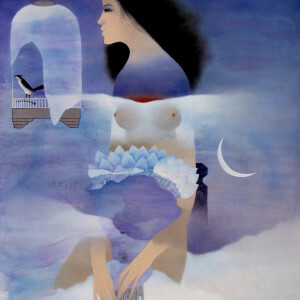 Asian artist Do Duy Tuan’s paintings are replete with symbolisms. 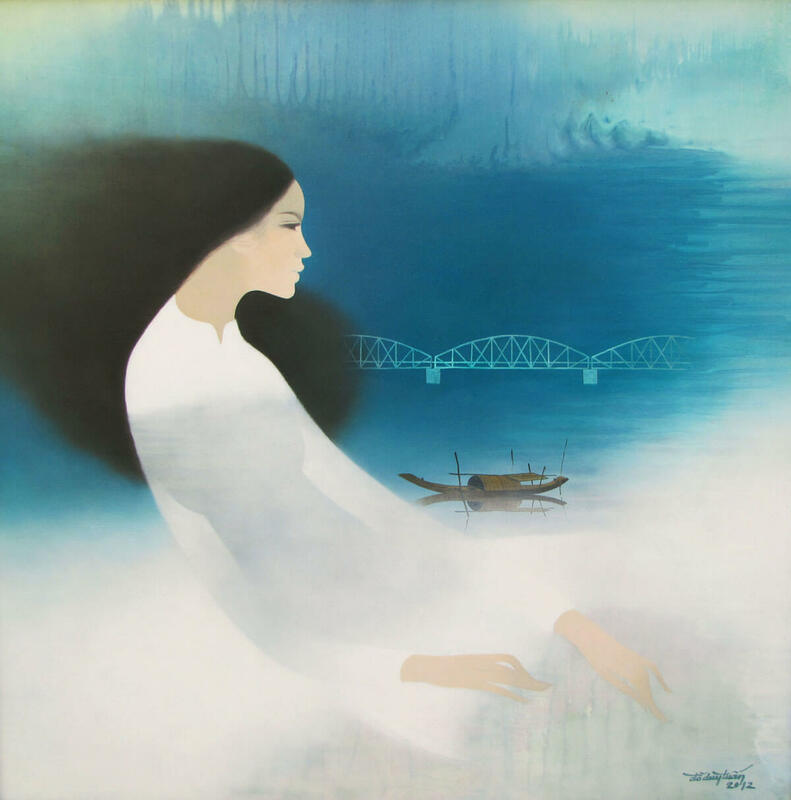 This particular oil painting has his characteristic lady with a boat and a bridge in the background. 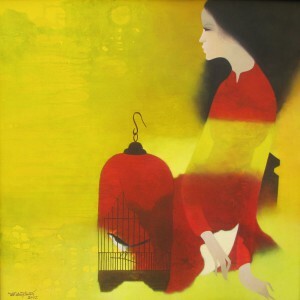 This is a good example of contemporary Asian art. 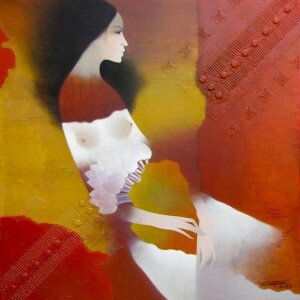 Though using traditional forms of expression, this piece signifying progress movement from one state to another is a comment on modern women. 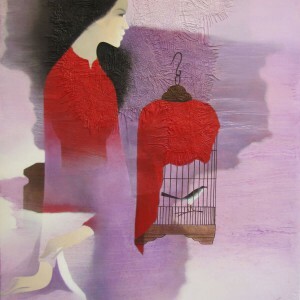 Or is it Vietnam?